Bring your car in today for repairs or maintenance. See what customers are saying about Professional Auto Repair. The Monday Morning Mechanic show you money-saving tips on vehicle maintenance. At Professional Auto Repair, we always make our customers’ best interest our priority. We treat our customers like family, striving to provide the service we would expect for our own family! Our experts are available to answer any and all questions you have about your vehicle. We want our customers to be educated and empowered to make their own decisions about how to keep their family safe on the road. When you bring your car in, we will diagnose the problem correctly the first time, so you don’t spend unnecessary time or money following the wrong lead. We offer thorough inspections with top of the line diagnostic capabilities for both foreign and domestic vehicles. All preventative maintenance and repairs meet manufacturer specifications, and we use only top of the line parts. Preventative maintenance is an important part of auto care. We will work with you to develop the right preventative maintenance plan for you and your vehicle! Professional Auto Repair performs all preventative maintenance to meet manufacturer specifications. If you aren’t familiar with the recommended maintenance, we can provide factory maintenance schedules for your vehicle. To back up our work, we offer a nationwide 36,000 mile/36 month warranty with roadside assistance. 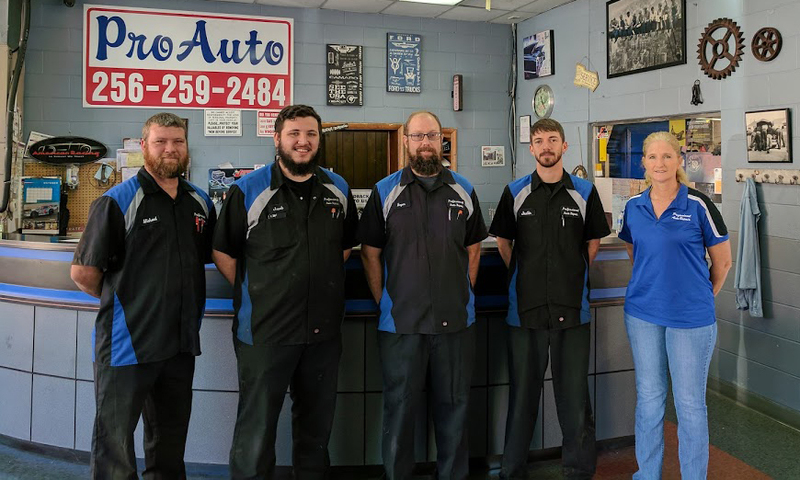 Stop by our shop for expert advice and service for your vehicle. We offer free Wi-Fi in our clean and comfortable waiting area. To schedule your appointment, call 256-259-2484 or schedule online!